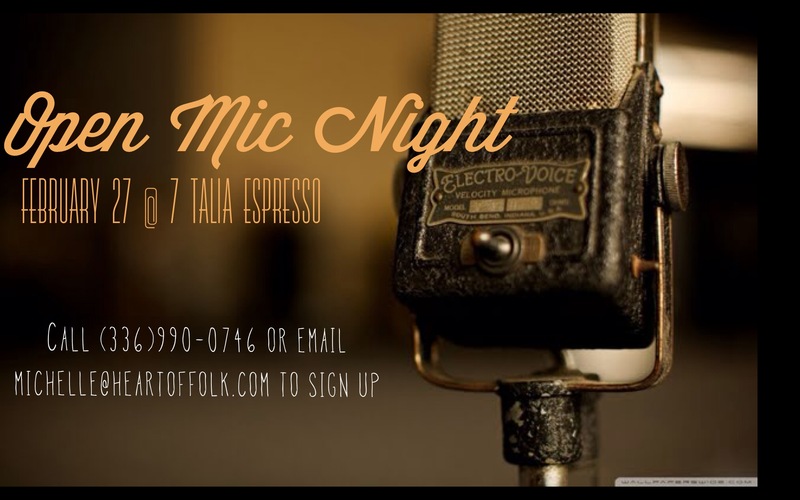 Open Mic night is at Talia Espresso. Featuring local talent, these events are some of the most fun and well liked evenings of the year. This Friday will feature the Catawba Bluegrass Band, Larry Skipper and friends, Benjamin Barker, and more. Admission is free and the music will start at 7.